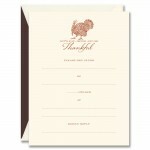 Thanksgiving Greeting Cards from Mr. Boddington’s Studio at Hyegraph Embarcadero San Francisco! 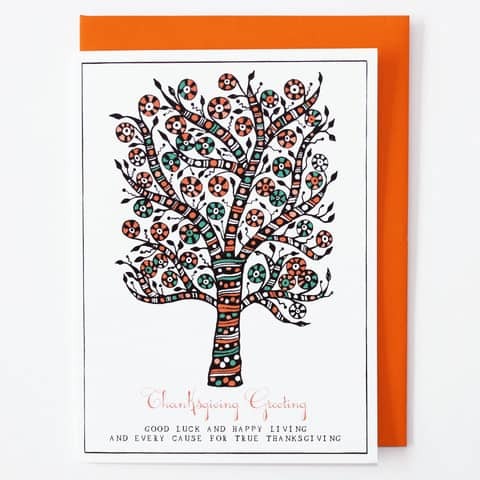 This card is blank on the inside, reads “Thanksgiving Greeting” “GOOD LUCK AND HAPPY LIVING AND EVERY CAUSE FOR TRUE THANKSGIVING” on the cover and comes with an orange envelope from Mr. Boddington’s Studio, retails for $5.50. 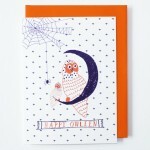 This Halloween Card from Mr. Boddington’s Studio is fun and quirky, hand drawn from the Turkey’s perspective! 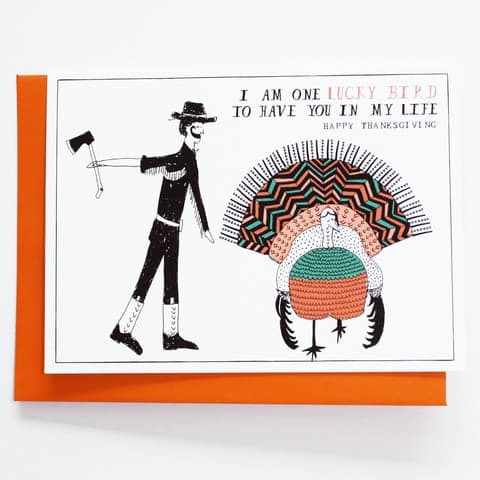 It’s blank inside and reads “I AM ONE LUCKY BIRD TO HAVE YOU IN MY LIFE”, “HAPPY THANKSGIVING” on the cover of the card. Retails for $5.50. It also comes with an orange envelope. We’re happy to have greeting cards for different occasions including Holiday, Wedding, Birthday and now Thanksgiving Greeting Cards! Come and see our selection at Hyegraph Embarcadero San Francisco.